Adventure and Recreation is just one of many approaches in Red Mountain’s suite of healing modalities. It represents one more way in which RMS exceeds the standards for programs of its type and goes beyond expectations to support our students. 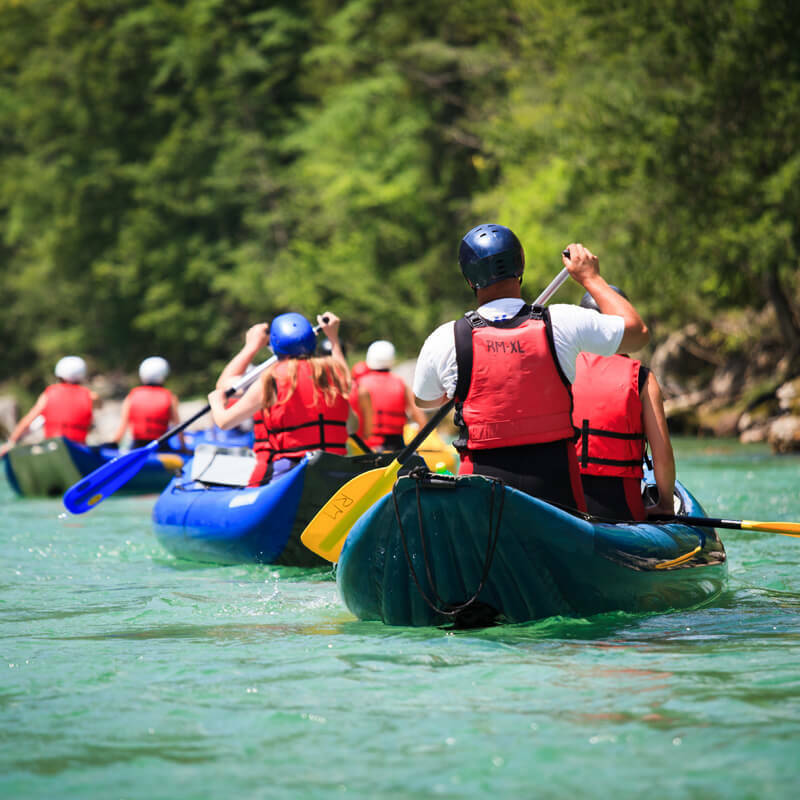 Adventure and recreation activities encourage individuals to become mentally and physically engaged through fun, action-based activities. 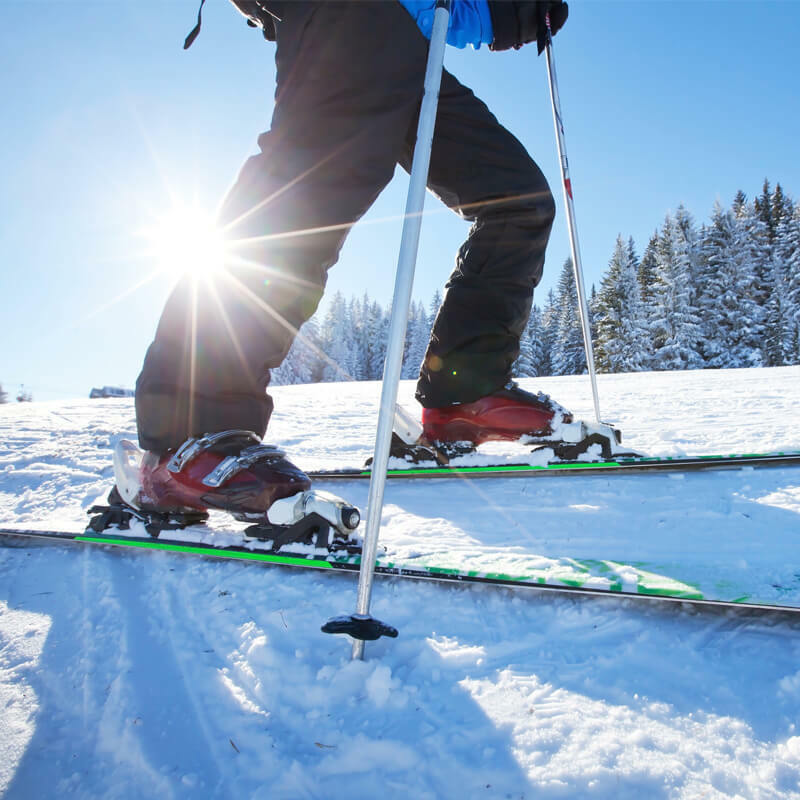 • Skiing / Snowboarding at Snow Bowl (elev. 10,000 feet). • Rafting on Oak Creek. • Hiking in Sedona’s majestic Red Rocks. The unfamiliar nature of these experiences, combined with the sense of community developed by participating in them, creates a climate in which individuals can challenge their current perceptions, and affords them an opportunity to modify habitual behaviors while enriching their self-esteem. We typically head out on adventures every Saturday, and most of our students agree it’s one of the highlights of the week. 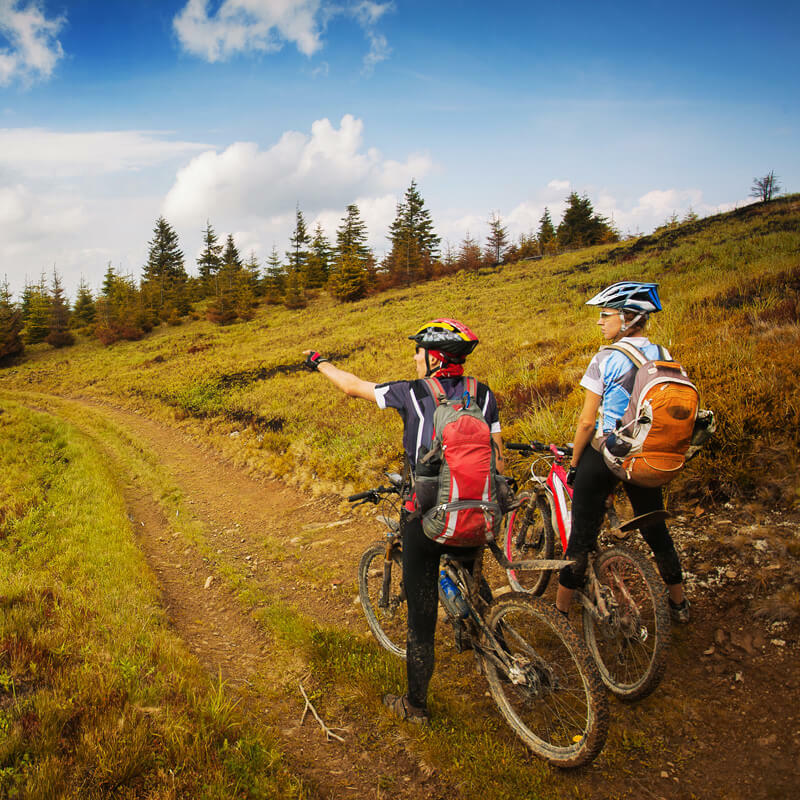 Additionally, throughout the week, our students participate in biking and hiking as they wish. If students are injured, sick, or at work, they are not required to participate. If they feel overwhelmed at the notion of one of our activities, we work with them therapeutically to help them feel comfortable, or come up with an alternative activity. 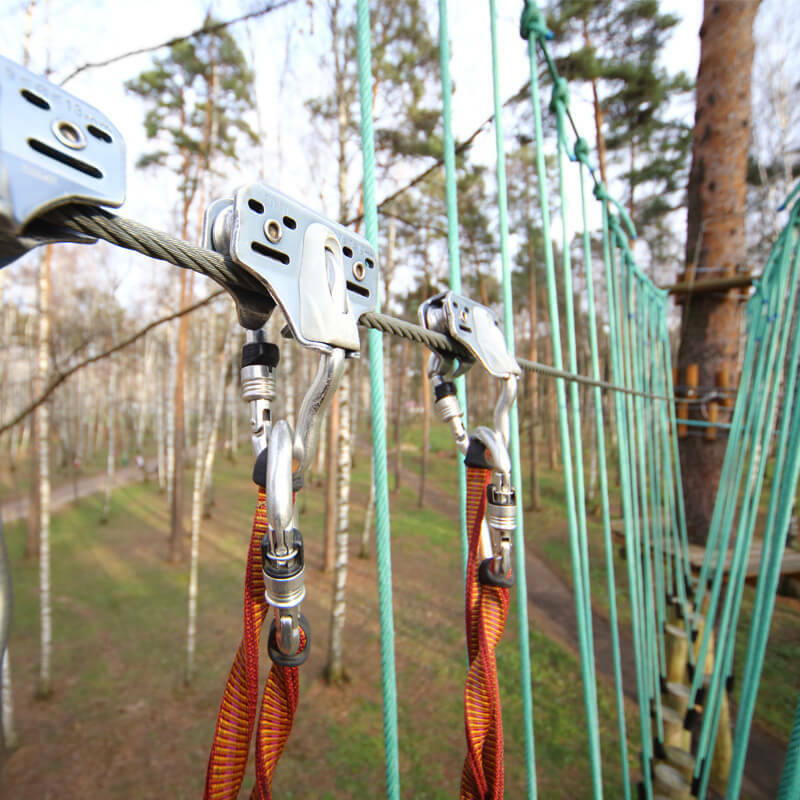 There are solid scientific reasons why Adventure and Recreation works so well. For example, adrenaline and dopamine, two key neurotransmitters in the brain, are both affected by exercise and physical challenge, and these, combined with the natural beauty of our location, facilitate a lasting lesson that getting healthy can be FUN! You may think that Arizona is dry as a bone, but Oak Creek, which runs through Sedona, offers plenty of water and challenging rapids. Here, our students get wet and learn to work as a team. Red Mountain Sedona is located 30 miles south of Flagstaff and the San Francisco Peaks. At nearly 10,000 feet, these stunning mountains offer excellent skiing and snowboarding opportunities. The challenge and exhilaration of this popular team-building exercise pushes limits and tests stamina. The results, when you face your fears and push beyond what you think you’re capable of doing, are stunning. We offer our students the opportunity to stretch their capacities as they experience a world-class rock gym. 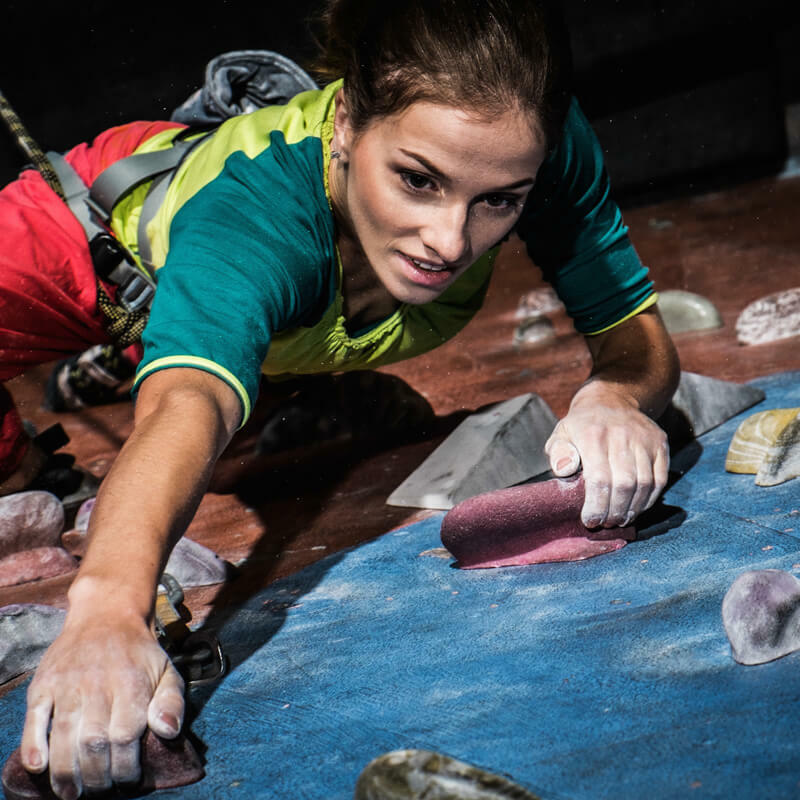 Rock climbing teaches you to think on your feet, plan ahead, and extend beyond your perceived limits. 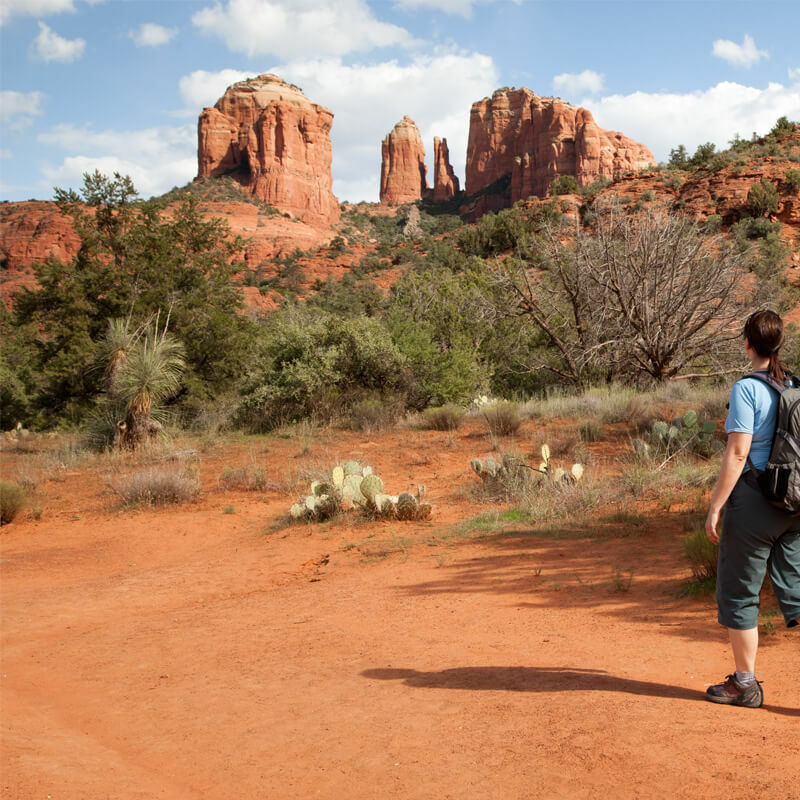 People come from all over the world to experience Sedona. Hiking here, on your own or in a group, opens up new spiritual depths rarely experienced in other locales. 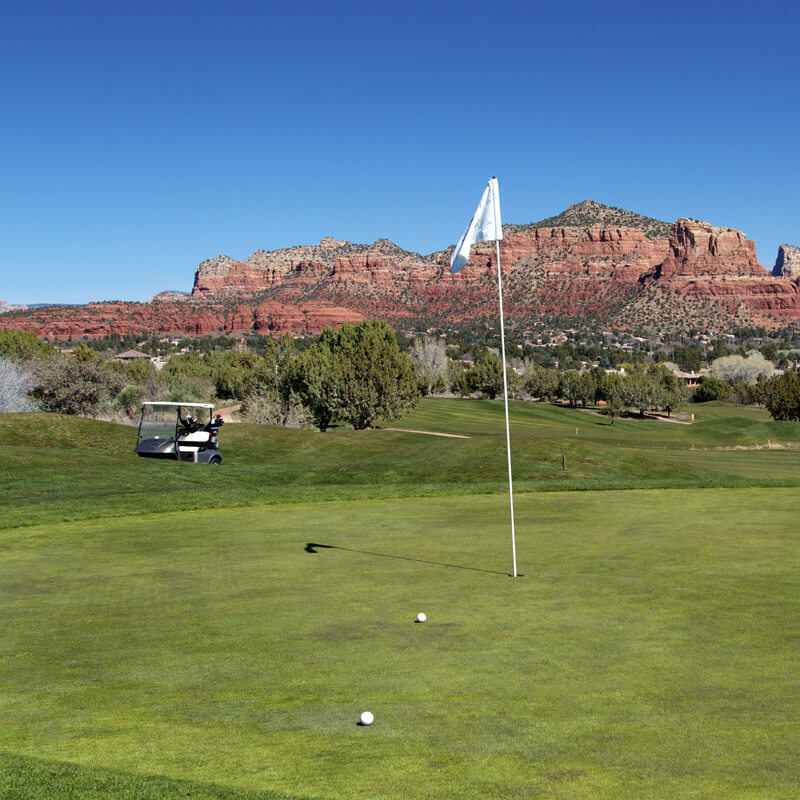 Sedona is home to some of the best golf in the country. Rolling greens frame the world-famous Sedona Red Rocks. Sedona is home to a thriving mountain bike culture, and people come from great distances to bike here. From easy, flat courses to some of the most technical trails in the world, Sedona has it all.